This category includes all the main support elements such as frames, general installations, superstructures and all to produce a device, a mechanism, etc. 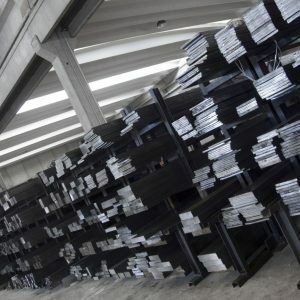 EN 10277-1 classifies these steels as “general purpose” quality non-alloy steels. 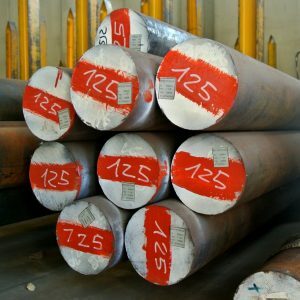 EN 10277-2 deals with the te tions for cold-finished steels, EN 10025 is applicable to hot-rolled steels and EN 102502 applies to forgo dards must be referred to in the order. They are tough steels with a limited carbon content in which some quantities of manganese and silicon are add( compromise between weldability land a good RpIR ratio (high yield limit), thereby enabling a reduction of the I with a resulting reduction in material costs of even up to 30%. In some cases they contain small quantities of chromium, nickel etc. coming from scrap or from the raw material. The percentage content of these elements is so small that their influen they are not therefore considered in the Standard. The lack of alloy elements means that the hardening is limited, as high-yield steels clue to cold reduction by cold-drawing and cold-rolling. These steels are also suitable for welding, hot and cold deformation. 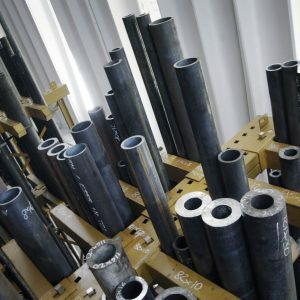 They are generally used in natural state, but they may be normalized or hardened and tempered when required fo as for the production of shafts, lightly stressed machine parts, bolts and screws.